New York: William Morrow/Harper Collins,  368p. Uncorrected Proof . To be published at $25.00 in November 2000. Bound in glossy covers .On the back cover there appears a brief plot synopsis along with the information in regards to publication. Comment: This is yet another departure for Simmons. 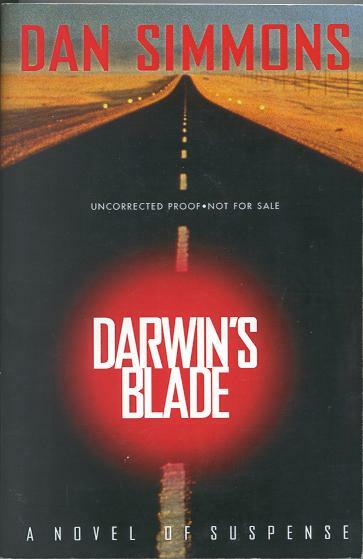 In this novel we are introduced to the character of Darwin Minor who is a specialist in accident reconstruction.